Heroin on the campaign trail: Presidential hopefuls run into drug problem in early state of New Hampshire. 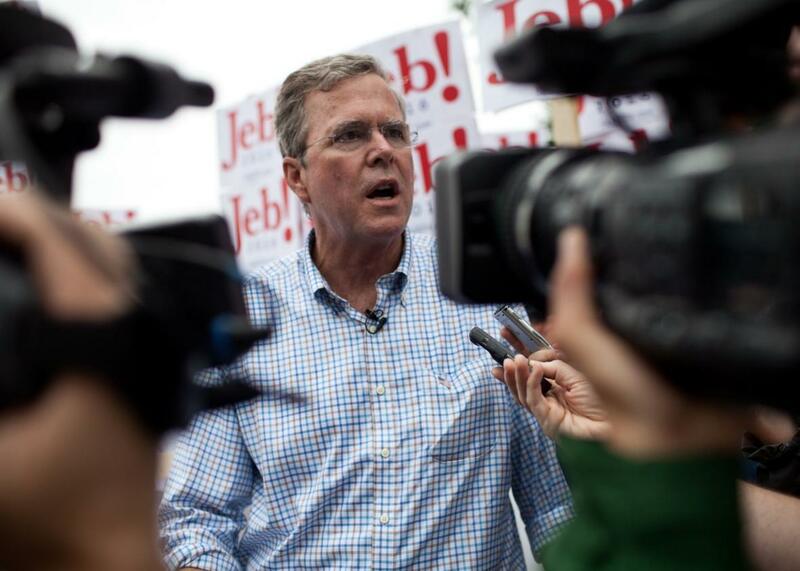 Jeb Bush visits Merrimack, New Hampshire in July. New Hampshire, which holds the nation’s first primary, is almost comically besieged by presidential hopefuls at this stage of an election cycle. With the state’s voters going to the polls in only three months, the average Granite State diner has a good chance of containing at least one person eyeing the Oval Office, and a shrewd candidate won’t hit the campaign trail without having answers for any issue on New Hampshire’s mind. One of the crucial challenges facing New Hampshire as the primary season kicks into high gear is an explosion in heroin abuse, and the resulting collision of local crisis and national campaign is compelling candidates to come up with concrete plans for how they would combat drug addiction as president. Ted Gatsas is the mayor of Manchester, New Hampshire, a town of just over 110,000 people where 50 have died from heroin overdoses since January. Because of the state’s role in picking presidents, he has far greater sway than almost any other mayor of a comparably-sized town, and he’s using it to talk about the addiction issue. In this cycle alone, he says, he has met with Jeb Bush, Chris Christie, Scott Walker, Rand Paul, Donald Trump, John Kasich, Lindsey Graham, George Pataki, and Bobby Jindal. And to each of them he has stressed that they need to be paying attention to the nationwide problem of heroin addiction more broadly, and specifically its effects on the Granite State. Democratic candidates are also being pressed on the issue in New Hampshire: Bernie Sanders has advocated for the drug naloxone, which can counteract a heroin overdose, to be more widely available to people outside of medical professionals, especially in rural areas when an ambulance might take too long to arrive. Hillary Clinton, who said in August that she’d been surprised at the urgency with which voters questioned her on the subject, has developed a $10 billion plan that would emphasize treatment, using federal grants to fund successful state programs for addicts. New Hampshire’s struggle to get its drug problem under control has already reached Washington D.C., where U.S. Senator Kelly Ayotte used last week’s Capitol Hill appearance by the director of the FBI to emphasize the need for federal authorities to help states with drug enforcement. The failure of interdiction on the southern border, she said during a Homeland Security hearing, was adding to the public safety problems in her northern state: a drug-storage apartment recently found in Manchester, Ayotte said, had been connected to a Mexican heroin cartel. When the Feb. 9 primary is over and candidates have turned their focus elsewhere, New Hampshire’s elected leaders will be in need of solutions for the rapidly-escalating problems brought on by debilitating addiction. With addicts describing an open bed in a treatment facility as an unfindable “unicorn” in New Hampshire, the state will need more than 2016 campaign-trail rhetoric to combat the scourge of heroin.